A new split by Grenoble’s Satan and Rouen’s Sordide was mastered and or mixed at White Noise Studio. A blog on how each track was approached. 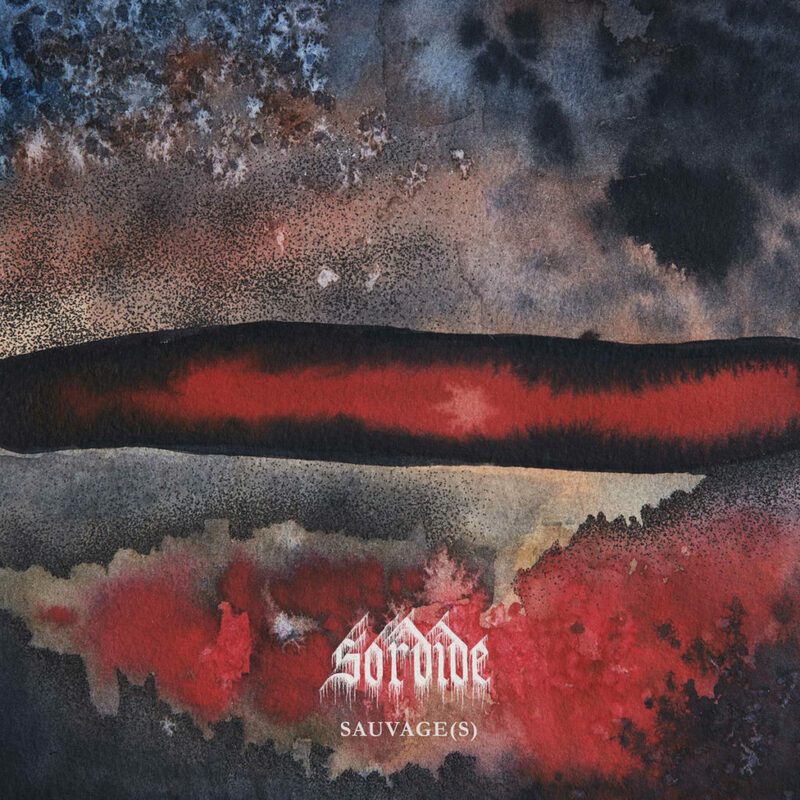 The french bands Sordide and Satan recorded a few tracks for their upcoming split. I was asked to mix and master these tracks. For Satan I mastered the tracks “Frissonnes-tu ?” and “Gloire à moi” and for Sordide I mixed and mastered the track “Sauvage(s)”. The Sordide track consisted of 14 tracks: 3 vocal tracks ( the band has 3 vocalists) , a bass track, 1 guitar track and 7 drum tracks. First thing I did was to check how a rough balance sounded and what it needed. It occured to me the snare was not sitting well. Before diving into deep mixing I tried adjusting the tuning since I know that adjusting snare tunings help recording sessions a lot. I pitch shifted the snare by half a tone which helped it sit in the rough balance a lot better without any tweaking. I further checked for overall timing and adjusted if needed and started the real mix. The most prominent thing which need attention was the guitar sound. I got only 1 guitar track to work with. Since some kind of stereo presence was needed I tried a few things while going back and forth in conversation with the band. We ended up by adding a bit of chorussy reverb as send effect which was distorted and panned to one side while keeping the main guitar more center. This gave the stereo impression needed. The vocals got a delay as most prominent effect which was automated to make sure tue mixed didn’t clutter up. The mastering was about making sure the 3 tracks by both bands matched sonically. I mixed the Sordide track and Satan send 2 mixed tracks to me. I felt the Satan tracks needed most adjusting, so I first mastered the Sordide tracks. The Sordide mastering mostly included limiting and adding a high boost. The Satan tracks were then mastered to match the Sordide track. First I made sure the loudness was equal to avoid any judgements errors due to different loudness between the tracks. Louder always seems to sound better, which definitely isn’t true by default. The Satan mastering was, globally, about adding low mid boost. This was done by adding eq and applying low mid compression. The Satan / Sordide split album is availible on the Saka Čost bandcamp. nextBoycott The Baptist – Did You Just Assume My Beverage?